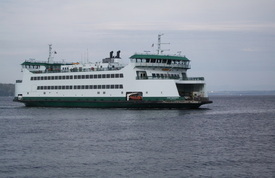 Last October the Hiyu and the M/V Evergreen State were put up for sale. Although it took quite a while they both now have new owners. 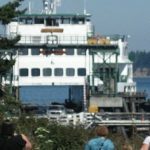 Speaking of ferries, Anacortes is known mainly as the place to catch the ferry to the San Juan Islands, but the town has so much else to offer. Later I’ll tell you how you can win Anacortes Getaway for Two that my friend at Small Town Washington and the Experience Anacortes are giving away. The Hiyu is destined to become a floating entertainment venue on Lake Union. Yeah, for keeping it local. The M/V Evergreen State will leave us and provide active ferry service in the protected waters of the southern Caribbean. I would love to have a ferry, but as a freelance writer my income doesn’t jibe with the cost of these vessels. Starting bid for the Hiyu was $300,000 and it eventually sold for $150,000 while the Evergreen State price was dropped from a handsome $450,000 to $300,000 when it sold. The latter measures 296.7 feet and holds 87 cars. The former was the smallest of the fleet and carried only 34 cars. 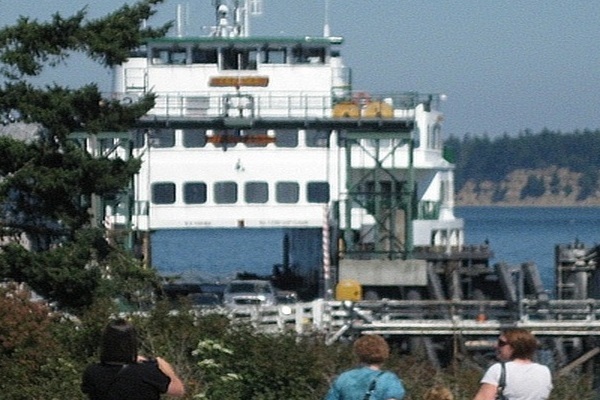 What do you do with a ferry once you buy one? Dyer Oxley, a writer at MyNorthwest.com, did lots of research on this and came up with some factual answers. Right here in our own neighborhood the M/V Skansonia serves as a wedding an event venue on the north shore of Lake Union in Seattle. The M/V Rhododendron currently helps out with oyster farming in Fanny Bay, British Columbia, Oxley discovered. Another retired vessel, the M/V Enetai is docked at Pier 3 in San Francisco and serves as a ballroom with a full bar. Here’s the Anacortes giveaway contest and it is full of good stuff. Hurry, the contest ends April 15th. 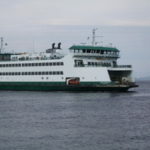 This entry was posted in Family Fun, Ferries and Other Boats, Towns and tagged Anacortes, Bremerton, contest, ferries, ferry routes, giveaway, trivia, Washington State Ferries on April 6, 2017 by Heather Larson.